Budget Car Rental was founded in 1958 as a car rental company for the “budget-minded” renter. Today, as an industry leader, Budget continues to appeal to value-driven renters by offering quality vehicles and a rewarding rental experience at more than 3,000 locations in more than 120 countries. 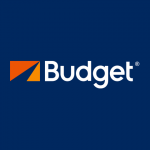 The full review of Budget is coming soon… Until then, have you had an experience with Budget Car Rental in the past? If so, please share it with us below. Leaving a review is fast and easy and will help people considering using this company in the future.